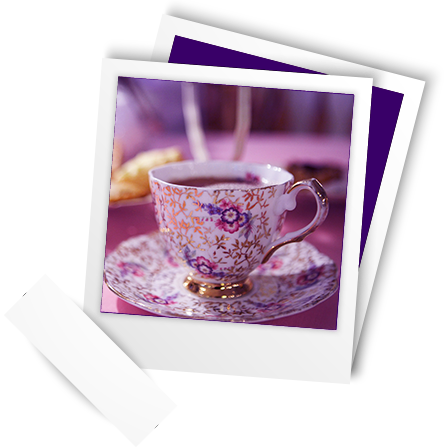 The Victorian Tea service includes scone with creme fraiche, lemon curd and raspberry preserves, assorted tea sandwiches and pastries, and your choice of tea. Browse among the antiques and collectibles throughout the store: antique furniture, jewelry, teapots and accessories, garden items, fountains, vintage clothing and more! Truly a jewel to be discovered, Tyme for Tea is an enchanting tea experience for young and old alike. Tyme for Tea is reservation only. please call (510) 790-0944 to make a reservation. Tyme for Tea & Co.
For directions to our tea room, Click here! Copyright © 2016 Tyme For Tea. All rights reserved. Website designed by: Hadia Amin.